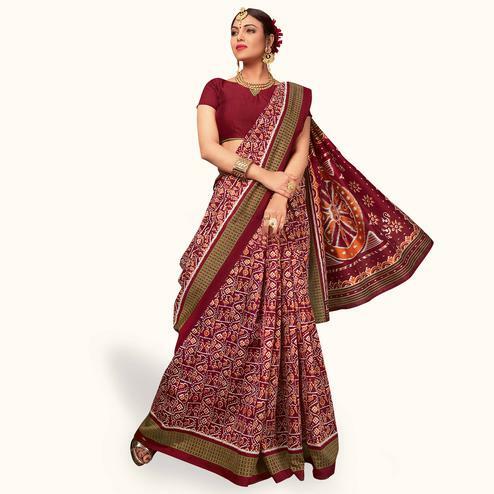 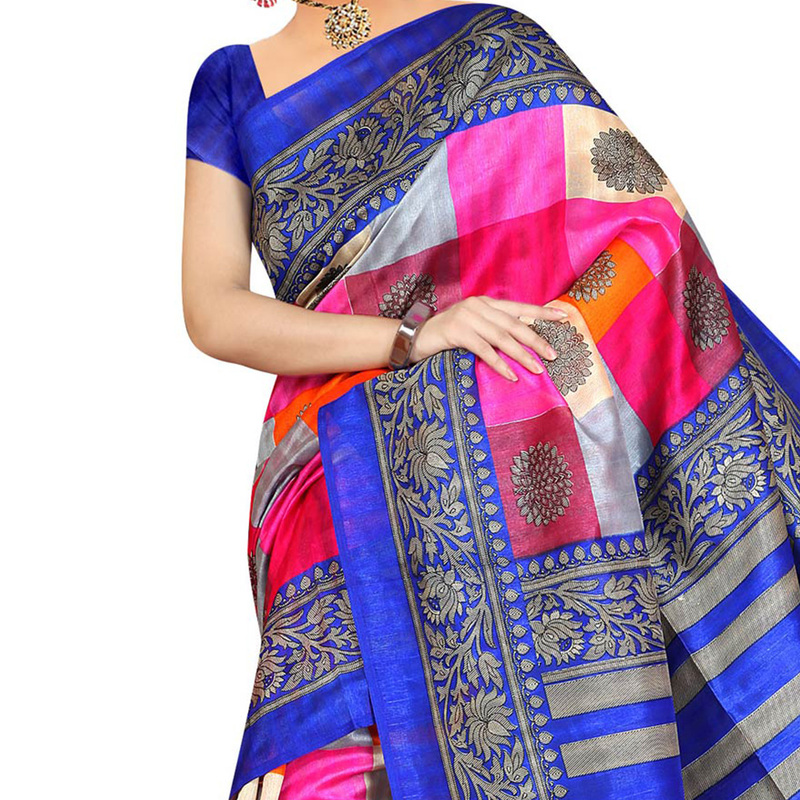 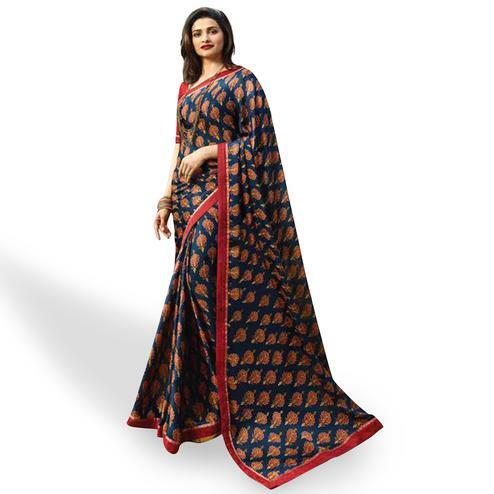 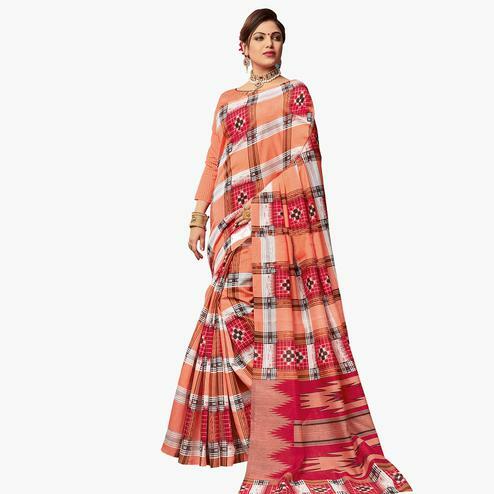 This bhagalpuri silk saree comes with a multi colored color print work. 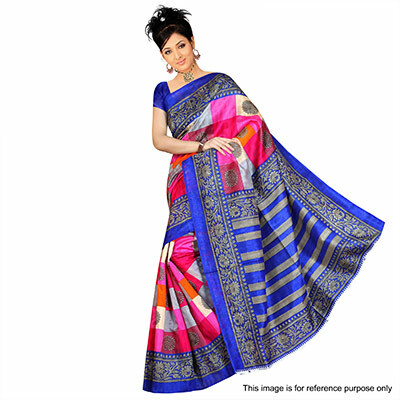 It's quite comfortable to wear and easy to drape as well. 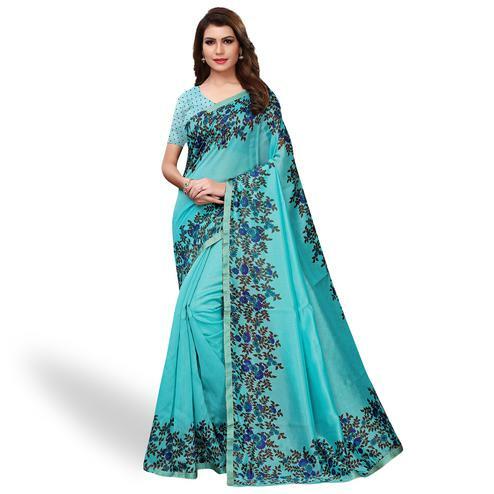 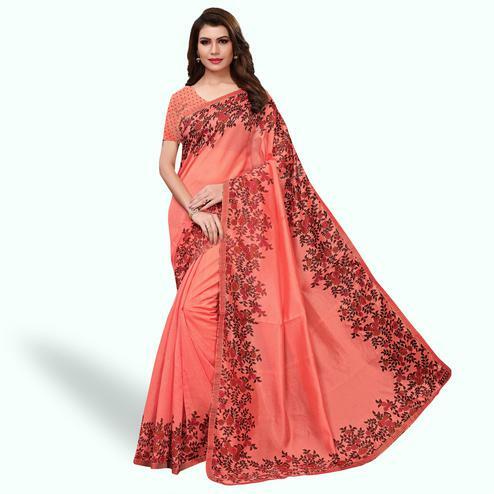 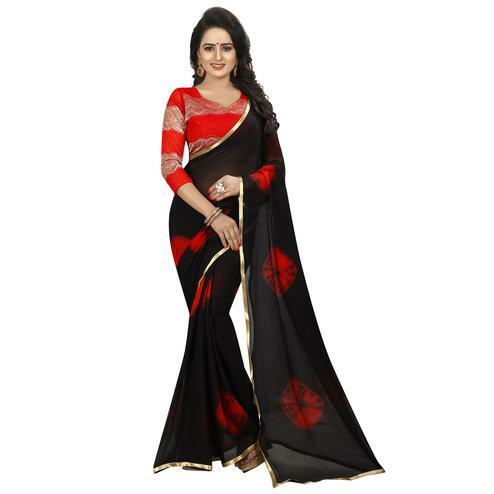 fancy & trendy look adds more glam to the saree. 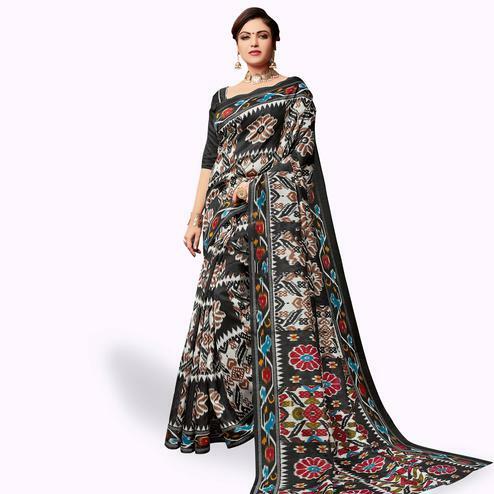 Paired with a matching blouse piece.